Launched in July 2017 and has already had success in the 2017 Rolex Middle Sea Race, as its class winner and third overall. Also, did well in the 2017 RORC Transatlantic Race, as class and overall winner. 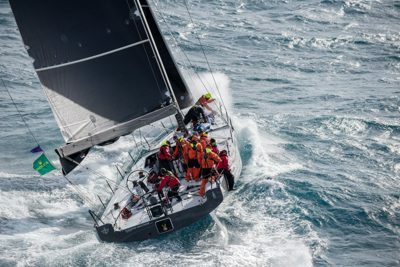 Owner Eric de Turckheim isn’t a stranger to the race, completing his maiden Sydney Hobart in 2015, sailing his Archambault 13 of the same name to 10th overall.